Maui is known for its year-round warm and pleasant weather. Many people visit Maui during the winter not just because of the weather on Maui, but to escape the cold weather back home. This is the peak season, so room rates are at their highest and crowds can mean waiting in line at some attractions. Summertime is popular for visitors with children because the water is calm; however this is another peak season, so room rates are high. 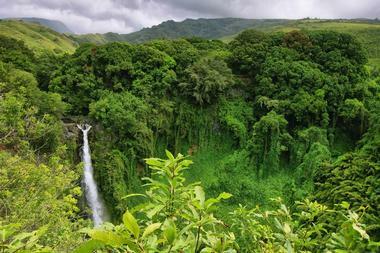 The spring months of April and May and the fall months of September through November are the best times to visit Maui. Room rates are more affordable; there are no heavy crowds; and the weather is heavenly. January in Maui is comfortably warm with high temperature averages of 81°F (27°C). Low temperatures are a cool 63°F (17°C) for Hawaii’s tropical winter season. In February, Maui gets the coolest temperatures of the year and a healthy precipitation average of 2 inches (48 mm). The average low temperature and average high temperature measure in at 63°F (17°C) and 81°F (27°C) respectively. Maui Weather in March: The high temperatures hold steady in March at 81°F (27°C). On the other hand, the low temperatures increase by a single degree to 64°F (18°C). April sees steady levels of rainfall with a precipitation average of 2 inches (39 mm). The climate increases slightly to 66°F (19°C) for the average high temperature and 82°F (28°C) for the average low. In May, the climate warms further with spring in season. The average high temperature increases to 84°F (29°C) while the average low temperature creeps up to 67°F (21°C). Maui Weather in June: The driest month of the year is June with rainfall nearly at 0 inches (5 mm). Summer brings along with it higher temperatures with the high temperature averaging at 86°F (30°C). The low temperature average is 70°F (22°C). In July, the average temperature increase again by a single degree for both the high and low temperatures. The average high temperature is 87°F (31°C) while the average low temperature is 71°F (22°C). August is the hottest month of the year in Maui with the average high temperature peaking at 88°F (31°C). The average low temperature is 71°F (22°C). Meanwhile, the precipitation rate increases slightly compared to June at 1 inch (13 mm). Maui Weather in September: Coming in at a close second for year’s warmest month is September. The high temperature averages hold steady at 88°F (31°C), while the low temperature average decreases by one degree to 70°F (21°C). In October, the precipitation rate is 1 inch (30 mm). The light showers are matched by cooler weather with the average high and average low temperatures at 87°F (31°C) and 69°F (21°C) respectively. November sees cooler and more temperature temperatures with the average high temperature at 84°F (29°C) and the average low temperature at 68°F (20°C). Maui Weather in December: The highest precipitation rate of the year comes in December with rainfall averaging at 3 inches (85 mm). Climate cools further to a low temperature average of 65°F (19°C). The high temperature decreases to 82°F (28°C). Looking to hit the surf on your trip to Hawaii? Make sure to plan your visit in between December and March when the conditions are best for catching that perfect wave. Visitors keen on going whale watching should plan their vacation around the same time since the peak season of Hawaii is also prime time for Hawaii’s gentle giants. To experience the best of Hawaii’s culture, visit between April and May when several cultural festivals take place. Beach bums looking to take advantage of the beautiful beaches should plan their visit between June and August when the waters are temperate and calmer. Most people who visit Maui arrive by airplane. Kahului Airport is Maui’s main airport. Because Maui is a popular place to visit, many airlines have daily direct nonstop flights from cities on the west coast such as Los Angeles, San Francisco, San Diego, Seattle, San Jose, Oakland, and even Anchorage. Otherwise visitors can fly from any of the many domestic and international cities into the Honolulu International Airport. Here they arrive at the international terminal: the flights to the outer islands, including Maui, depart from the nearby Inter-Island Terminal. Hawaiian Airlines is the main airline that flies between the Honolulu International Airport and the Kahului Airport. Norwegian Cruise Lines docks at several of the islands including Maui. After arriving at the Kahului Airport, visitors have several choices on how to best explore Maui. There are eight car rental agencies that are located at the airport. 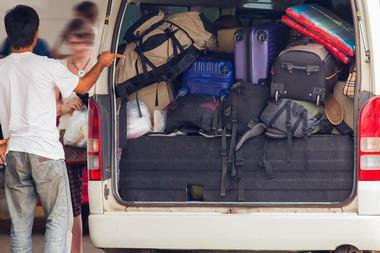 The car rental building is located just a few minutes walk from the baggage claim area. The County of Maui operates the Maui Bus with two routes from the airport: Route 40 is the Upcountry Islander; and Route 35 is the Haiku Islander. The Maui Airport Shuttle Service counter is conveniently located in the baggage claim area. The shuttle takes visitors to a variety of properties around the island. Taxis wait just in front of the baggage claim area. Getting around by car is the best way to visit Maui unless you plans to spend your entire holiday at your hotel and the beach in front of it. 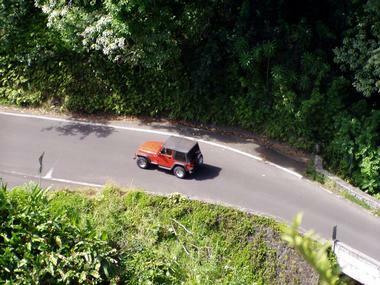 Many of the attractions are spread around the island and this makes a car essential to see many of the sights. There are many roadways and it is easy to find your way around Maui by car. Cars can be rented at the Kahului Airport which is where most visitors arrive. It is recommended that you get collision insurance for your rental car if your personal car does not cover you. Some of the back roads are labeled in the Hawaiian language, so renting a car with a GPS system is wise. The County of Maui operates the Maui Public Bus Transit System, referred to as the Maui Bus. There are 13 routes and these serve several communities on Maui: most of the routes originate in Kahului and run seven days a week. In addition to one way fares, visitors can buy day passes. There are plenty of taxis at the airport, but if you should need a taxi to get somewhere on the island, ask your hotel to call the taxi company to make arrangements. Some hotels provide shuttle services to nearby attractions as well as to the airport. 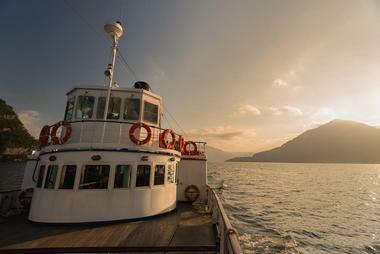 Several companies offer ferries to the nearby islands of Lahaina and Molokai. Maui offers visitors many choices for dining on the “Valley Isle.” There are many young chefs working in the restaurants on Maui and creating new and innovative dishes. 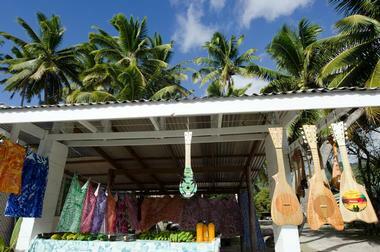 Farm-to-table is very popular on Maui where many local ingredients are available year round. The fish that are served in restaurants were most likely caught earlier in the day. There are ranches upcountry that provide beef to local restaurants. Some of the restaurants that visitors should explore include the Ka’ana Kitchen, the Migrant where food has a Filipino twist, and Capische with its tasty Italian cuisine. 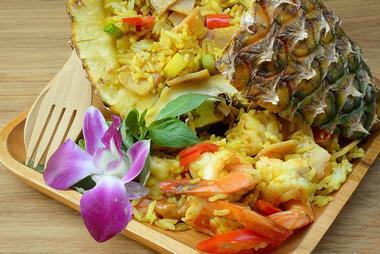 Some of the best fine dining restaurants are located in the big hotels. Less expensive options include Maui Tacos and Ruby’s. When you are finished exploring the natural beauty of Maui and are water-logged from all of the ocean activities, it’s time to do some shopping. Some of the places to try are Whalers Village on Kaanapali Beach where you’ll find about 90 shops as well as restaurants; many of the top hotels are located along Wailea and here there are many upscale shops. If you are looking for souvenirs your best bet is at one of the shopping malls in Central Maui. Two of these are the Maui Mall and the Queen Ka’ahumanu Center. In these malls there are many boutiques and gift shops that sell souvenirs among other items. Maui is made up of five districts each of them unique both geographically and culturally. Central Maui is where the Kahului Airport is located, and so it is the first area that visitors will see. 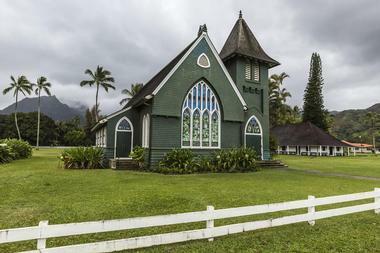 It is home to Maui’s busiest city, Kahului, but also interesting attractions such as the Iao Valley State Park. South Maui is where all the luxury resorts are located partly because it is the driest part of the island and partly because of the beauty of the landscapes. 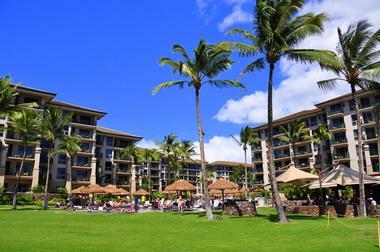 West Maui is also known for its luxury hotels as well as the historic town of Lahaina. The other two districts are Upcountry Maui on the slopes of Mount Haleakala and East Maui where Hana is located. Maui is the perfect place for a wedding and it is a very popular wedding destination. A marriage license can be obtained at the State Department of Health building on High Street in Wailuku. 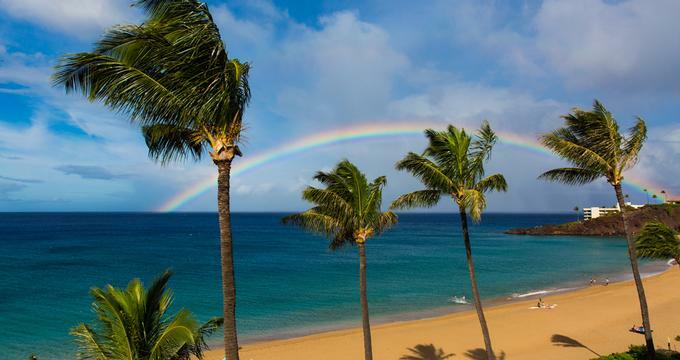 Maui offers pleasant year-round weather, friendly people, and stunning natural beauty. There are many luxury hotel properties where weddings can be performed: these include the Westin Maui Resort and Spa and the Napili Kai Beach Resort. 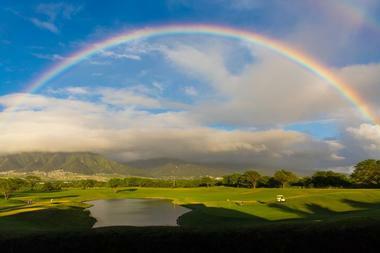 Clubs include the King Kamehameha Golf Club and the Ka’anapali Beach Club. The Olowalu Plantation is an oceanfront home and the Maui Tropical Plantation is a great outdoors venue. For visitors interested in getting married at sea, there are several companies including the Lahaina Cruise Company and Teralani Sailing. Hotels on Maui range from five star luxury properties to simple inns, bed and breakfasts, and cottages. The top luxury hotels are the Four Seasons Resort Maui, The Ritz-Carlton Kapalua, Andaz Maui at Wailea, and Montage Kapalua Bay. Some of the more affordable accommodations include hotels like the Outrigger Resorts chain and the Castle Resorts and Hotels chain; inns such as the Inn at Mama’s Fish House and Paia Inn Hotel; and bed and breakfasts like the Hale Huanani Bed and Breakfast and Dreams Come True on Maui Bed and Breakfast. 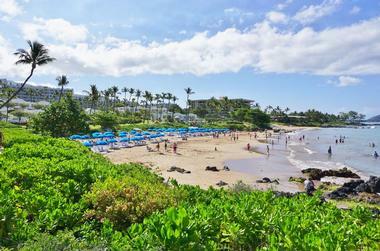 There are also many vacation rental options on Maui: these include condos and houses.